You can look out for some of the rarest designs of kitchen storage accessories only at AKrazyMug.Com. The items offered by us are rich in art. You can find storage items that are handcrafted by skilled professionals to produce some wonderful designs. These products are so elegant that they can even be used as décor enhancers. We offer storage containers which possess wooden carving, wooden engraving and ethnic art. There is a wide variety available which can be matched with your kitchen interior. Apart from design, these containers are available in different sizes so as to suit your purpose. Some of the utility boxes are also equipped with a glass covering which makes them look amazing. 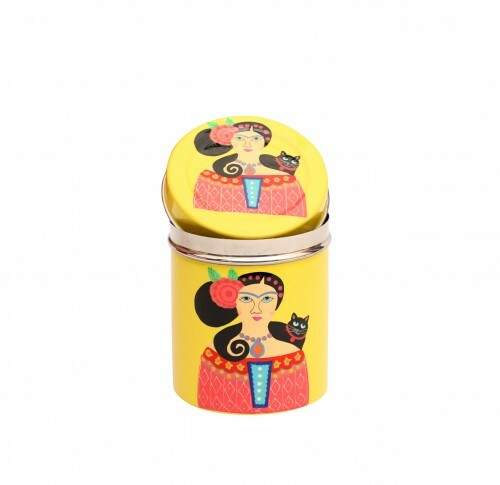 AKrazyMug.Com has numerous kitchen accessories which are famous for their colourful artwork.